Modernised hog-roast-style catering for private and public events, private parties and corporate functions in Manchester and the North West. Bucking the medieval tradition of roasting a hog whole for hours over an open flame, we have taken chef techniques from high-end kitchens to modernise and improve this rudimentary setup. The meat is fully and safely cooked offsite, meaning the first portion can be reliably served within 15 minutes of arrival and setup. This leaves the venue free for your guests to get warmed up without the smoke, smell and sight of a spinning piggy. Choice Cuts, Made to Measure. Order for the exact number of guests you require, without being restricted to the size of the animal. 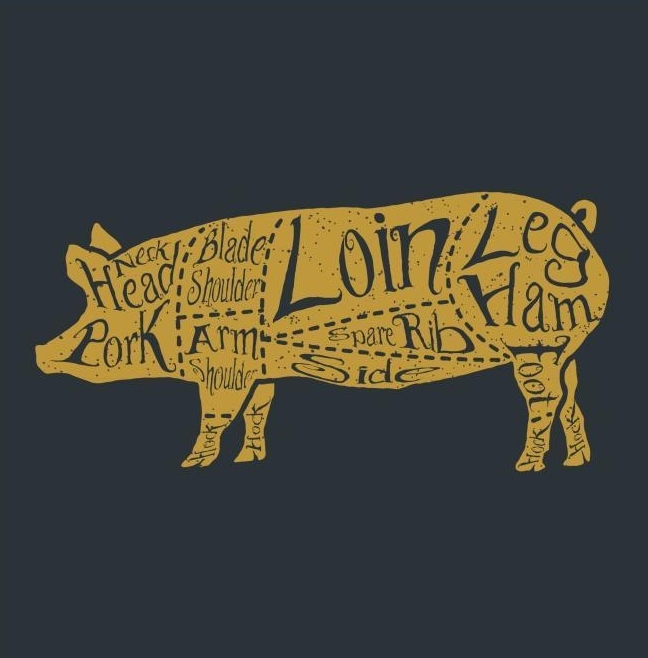 We tailor the selection of cuts we provide to suit your audience- avoiding the fattier, gristlier cuts for fussy eaters, and using those with fullest flavour for die-hard meat lovers. Our unique cooking method marinates the meat while cooking for up to 36 hours. This ‘low and slow’ method results in meat that is beautifully tender and juicy, yet remains more “steak-y” than stringy or mushy.